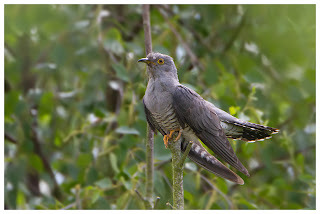 A couple of weeks back, I had chosen to take Dad to Brandon Marsh, with the hope of seeing kingfishers and maybe a cuckoo. It's a new location for him, and one I hope he'll go back to, especially after he encountered some of the local erm, wildlife, in the form of Andy and Max! Both of whom were entertaining as we camped in the Carlton Hide, hoping for pics. Apparently, just before we'd got there, a pair of juvenile kingfishers had been posing all over the place. Typical! During the time sat there, one did appear, but too far for decent shots, especially after last year's feast of chances from Feckenham, at such close range. That said, Dad broke his duck on getting shots of one, albeit rather distant. We heard a cuckoo, but that was about it, and aside from Dad getting more heron shots, we didn't fare too well, made worse by texts from friends out in Staffordshire, of a tawny owl they'd encountered. With Dad in tow, I couldn't drag him all the way up there, so sat there feeling very envious indeed. A week is a long time to wait, but early on Saturday morning, I was off out to the spot where they'd seen it, in the hope it'd still be around. Stuart was there too to help, but it took a good 90 mins of wandering the area before the bird gave itself away, by calling out. We were on to it in a flash, but annoyingly, the views of it were obscured by branches. It was awake though, not surprisingly, given the breezy conditions, and after much mooching, we managed some angles where we could get a shot of it, the best being when the owl itself peered around a branch, to look down at me! 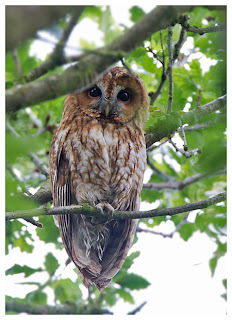 As owls do, it dozed off eventually, though the wind picked up, bringing a real downpour, and the owl flew to a different tree - great to see it fly, but it managed to find an even more hidden perch, and despite more creeping around, getting neck-ache from looking upwards, we couldn't manage to get a better view point. The rain showers seemed to get more frequent, and the light was terrible. So much for the middle of June! We all looked pretty fed up with the conditions, including the owl. 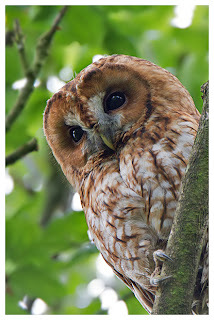 And, as soon as the weather cleared up, the owl cleared off, to high in the canopy, presumably to dry off. It was our cue to leave, but despite the mild irritation of twigs and branches being in the way, I'd bagged easily my best shots to date of a tawny. 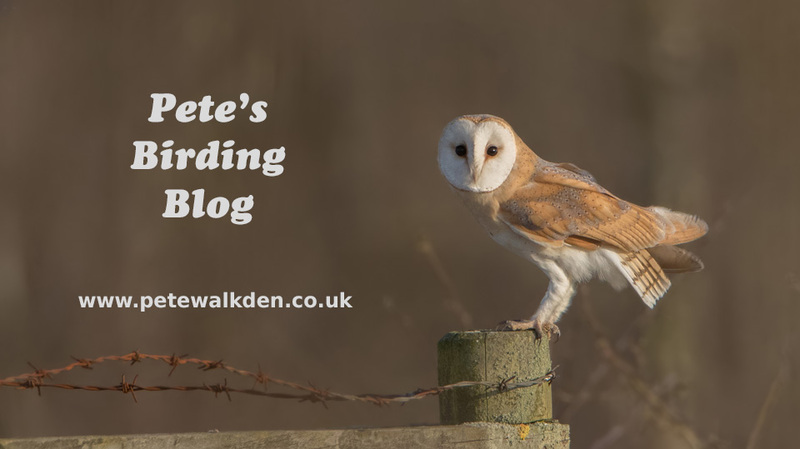 For the last few years, at about this time of year I have been fortunate enough to be able to get down to Devon and Somerset, for photographing birds around the reserves I love down that way. 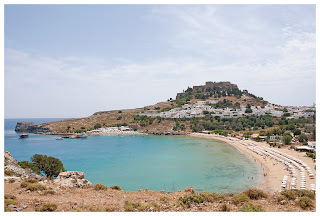 But this year other holidays (such as Lindos) have meant no south-west trip. Having seen pied flycatchers at Gilfach Farm, not seeing them at Yarner Wood (Dartmoor, Devon) wasn't so bad, but I still yearned to revisit the Somerset Levels for the hobbies and bitterns. Hence, the alarm went off at 5am on Saturday morning, and about 8:30am, I was parking up at Ashcott Corner, ready to stroll around RSPB Ham Wall, and if time allowed later, Shapwick Heath. It was breezy but the sun was shining on arrival, and the walk along the path to Ham Wall was lovely - the air filled with the songs of warblers, and within minutes of reaching the reserve, the unmistakeable sound of booming bitterns. Apparently there was a ring-necked duck on site, but I failed to see it, and I was more interested in scurrying off around the lakes in search of bitterns and hobbies. 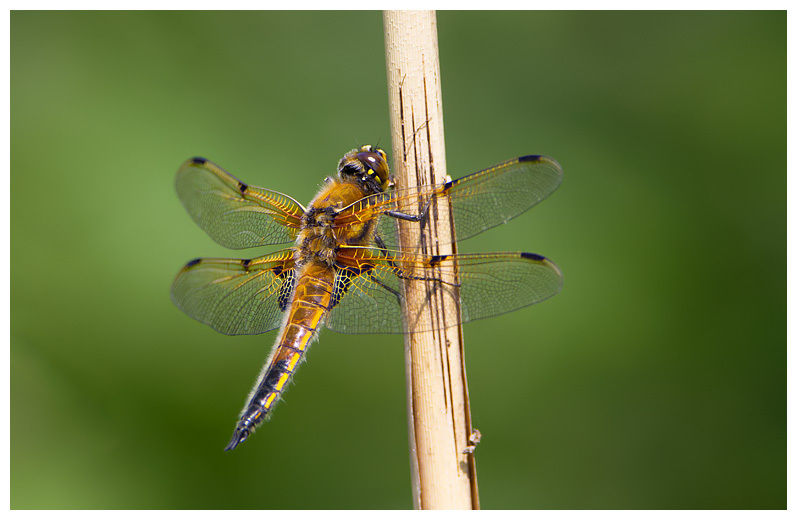 The reserve was almost infested with dragonflies - I've never seen so many, though a more knowledgeable observer pointed out that the larger dragonflies were almost all four-spotted chasers, as can be seen in the shot below. The bitterns were booming away frequently, but my attention had diverted to cuckoos calling. Twice, one skimmed the tops of the reeds and landed in a tree, just that bit too far off for a shot, and typically against the sun. Moving to a location where the perching point was lit better, I waited and hoped. No good - waited for a good hour and the bird failed to return, and I was about to move off when a pair of bitterns rose up above the reeds, with one chasing the other. I had seen this sort of behaviour before, but this lasted longer and was much closer to me. 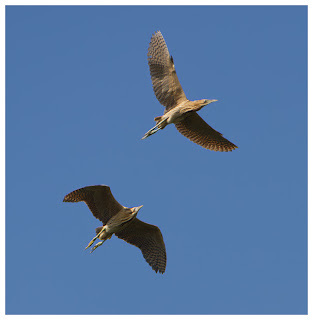 They circled over-head, crying out at each other as they soared around the sky. Like last time, I had the big lens rigged up on a tripod, and took most shots with that, but when the birds went right over-head, I swapped to my hand-held 100-400mm lens, to avoid doing myself an injury. 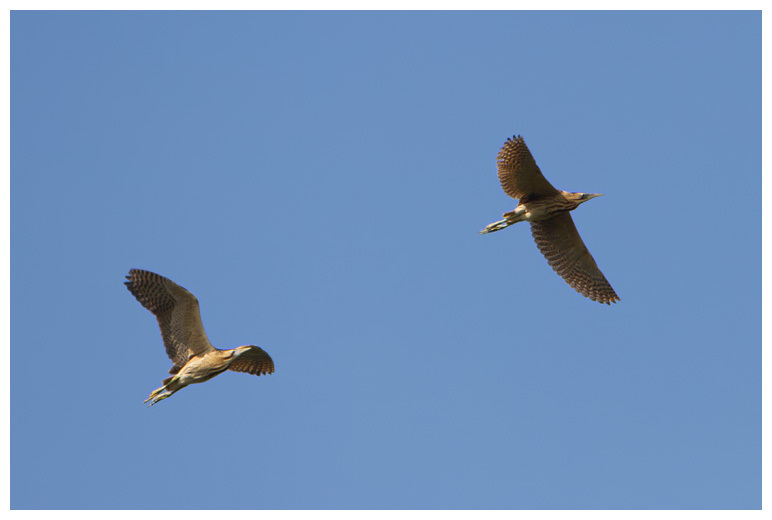 It was rather tricky though, to retain both birds in the shot, and also to get a focus lock that would keep at least one of them sharp. Eventually, they dropped down and vanished again into the vast reedbeds, not to be seen (by me) again that day. So I turned my focus back to the cuckoos, which numbered three. Along the path from where I had been stood was a dead tree, and was again favoured by one of the male birds. I relocated there and hoped for better fortune. I was in luck, as one landed in the tree, but agonisingly, the wrong side of a group of branches, so it wasn't a clean shot. Moving to attempt for a clearer line, spooked the bird and it flew off. 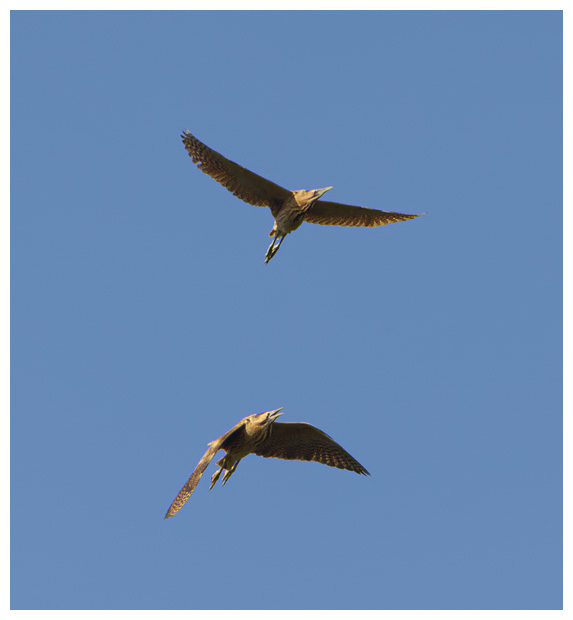 And so began several failed attempts to get an unobstructed view of the bird, over the course of about an hour. 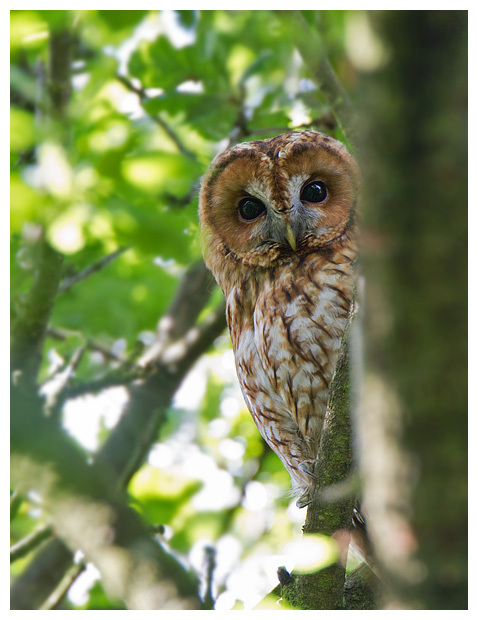 I was about to abandon the plan when one landed in another tree behind me, and as before, when I moved, it flew. But this time not far, and to a perch that was obscured by a tree. Hence I was able to approach, drop the tripod to a level giving me a clear view, and take a few shots. I don't think the bird could see me, but the sound of the shutter meant it looked over towards me, after each burst of its call. 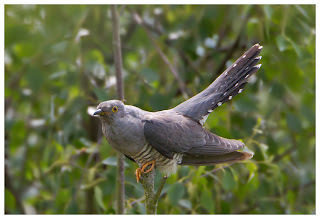 Eventually, it thought better of the noise, or perhaps it spotted me, and flew off, but I'd achieved some shots at last. I'd also achieved something else, less pleasant. The reserve is quite overgrown in places, with stinging nettles and thistles, which is great for caterpillars etc, I guess. But not great for standing by, and I'd almost got used to being stung or spiked by them, when I was taking pics. Hence, when my legs felt irritated when photographing the cuckoo, I wasn't overly bothered. Until I looked down that is. And saw a sea of red ants, up both legs to about knee-height! I wasn't being stung or spiked, but being bitten! I had to perform a sort of Red Indian war dance, or perhaps a Morris Dance, which involved lots of leg-slapping and shaking, to get rid of them from my trousers, socks and within my boots. Must have been very amusing to watch, though not for me, and my legs itched for hours after. A surprising aspect of the trip, compared to the last time I was there, was the lack of hobbies. I saw just one, throughout the whole day. I'm sure there were more around, but not close enough to interest me for a photo. I had hoped that Shapwick Heath would be better, but it wasn't. In fact, the reserves were really rather quiet in that respect. At Shapwick Heath, I spent some time in the hide overlooking the main lake, listening to the constant cries of young cormorants, watching occasional flights from warblers, and even more rare, were the bitterns, out looking for food. 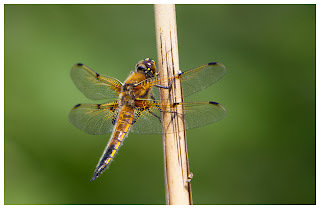 One even strolled across a gap in the reeds in front of us, but was too quick and well hidden to allow us any chance of a photo. A final visit to the hide on the other side of the canal yielded a good view of a male marsh harrier, quartering the reedbeds, but by now the cloud had covered the skies and the wind had got a lot stronger. With tired red eyes, I thought it was probably best to head back home, wishing I was heading the other direction on the M5, as is usually the case. Ah well, maybe next year. It was never meant to be a birding holiday; more of a break to get away and relax, get some sunshine and warmth, spend some time with my family and try to forget about all the stress of recent months both at home and at work. 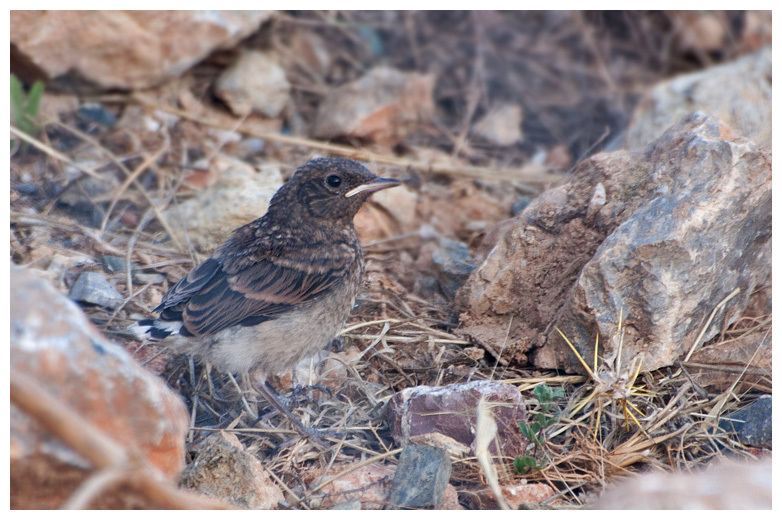 Curiosity though, got the better of me, and before flying out I googled what might be around on the island of Rhodes, birdwise. Unsure of the size of the safe in the room, I opted to just take my old Sigma 70-300mm and my 40D camera. And last minute I packed my bins too. Arriving at the apartment complex at night, the night was filled with the sound of insects... and also of possibly owls. Sounded familiar, but I couldn't be sure. 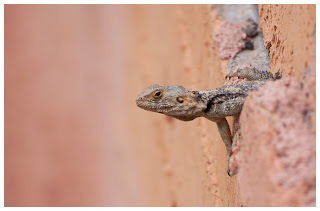 Next morning, after reeling from the heat of the sun on the patio of the apartment, I ventured out to scan the cliffs behind, to see if I could see what was making the calls. A flash of white and black, a flicking tail, and I thought I'd spotted a pied wagtail. I hadn't. It was far better. Flitting about from the fencing of the complex (to keep out goats! 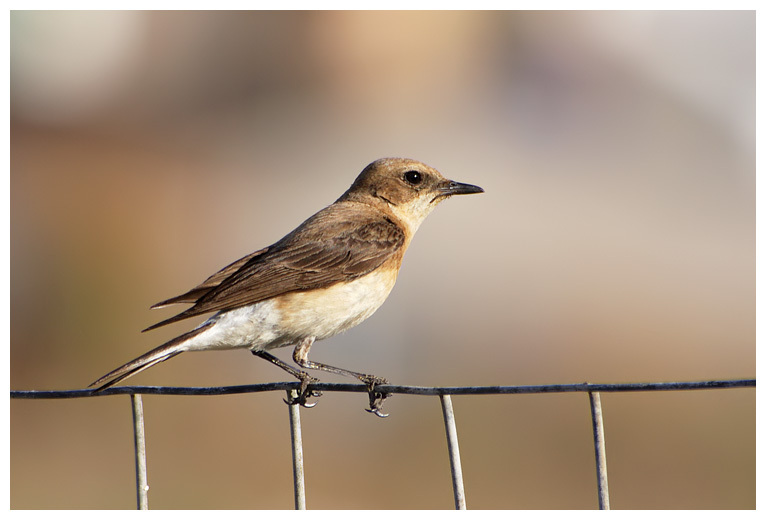 ), and the pathways around the buildings, was a fantastic-looking black and white wheatear, which turned out to be a black-eared wheatear. And he wasn't alone. 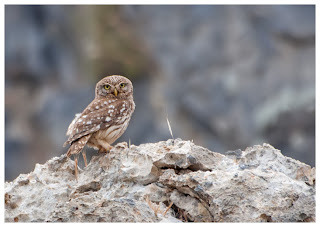 Nearby, whistling and chatting was his partner, a brownish bird, but lovely in her own right. 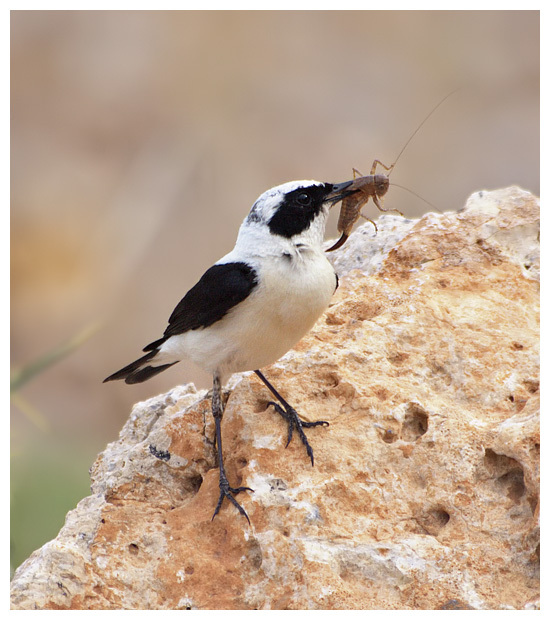 Both were superb at grabbing the insects around, especially the huge crickets and grasshoppers, which tried to bask in the sunshine on rocks and posts. Considering how shy wheatears in the UK can be, I was amazed at how much these two liked to perch right in front of me, and even Dad with just a point-n-shoot camera, managed some fab shots of them. We spent most afternoons, after the heat of the sun had got too much, watching and trying to photo this pair, eventually discovering they had 3 or 4 juveniles around the area, being fed. Looking skywards, I was equally amazed at the number of birds of prey around. A pair of peregrines often circled, hurtling off over the hills in search of prey, as did masses of kestrels, some of them lesser kestrels, I believe. Falcons, such as red-footed falcon were around too, and all of these birds seemed to be able to catch insects on the wing, much like hobbies do in the UK. In fact, you could look at the sky for no more than 30 seconds most of the time and see at least one. 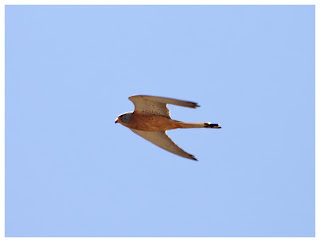 Kestrels were most common, flying from the Acropolis up to the hills behind our complex, and then zipping back. Oh how I wished I'd got a bigger and faster lens! More so, when one morning I spotted something larger, with very long wings and was almost eagle-like. Grabbing the cameras, we both waited to see if it would fly into view again. It did, eventually, and lower down. 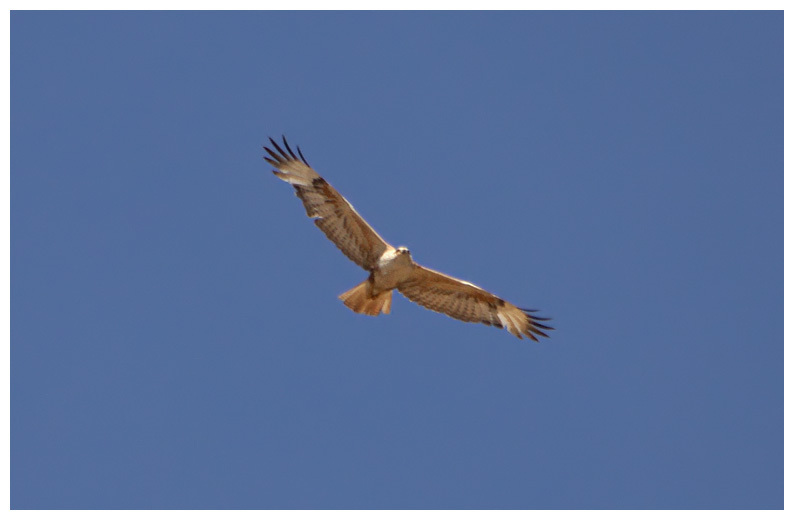 Comparing our shots to images on the internet, we initially thought we'd seen a Bonelli's eagle! Sadly, it turned out to have been (only!) a long-legged buzzard, but great to see nonetheless. As well as birds and rather large insects all over the place, there were agama lizards, which amused us daily, with their scuttling running, head-banging and crazy leaps from rocks when chasing prey. They look just like dinosaurs, and loved to bask in the sunshine. They were also all over the hills and cliffs at the back, and whilst watching these, I spotted something fluffy and brown. Perched atop a rock, was a little owl, looking grumpy as usual, though with a sea-view and masses to eat all around, I suspect it was a bit happier than the one I see down the road. 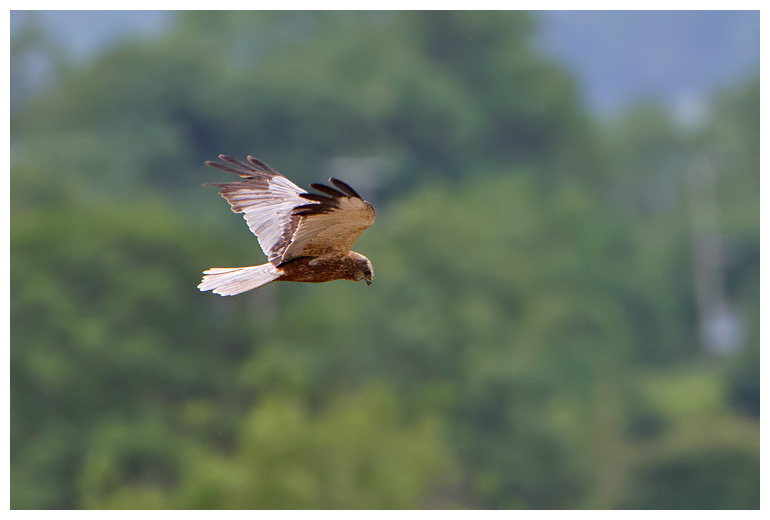 As I watched, I saw it fly off and disappear into a crack in the cliff-face. Listening more carefully, I could hear a screech. It was nesting there, and hidden from view must have been at least one chick. After about an hour, I'd realised that there was a pair of little owls up there, and they were constantly having to catch food for the hungry chicks. No wonder they looked grumpy! On a couple of the days I opted to go for a walk instead of being a fat slug-in-the-sun by the pool, mainly because I'm fair-skinned and burn easily. The first trip took in fine views along the headland behind the beach, and apart from a distant blue rock thrush, the only birds I saw were a pair of juvenile peregrines, practising food passes, albeit miles off. The second trip, which took in St Pauls Bay was far better. Behind the outcrop of rock which holds up the Acropolis, were nesting kestrels, various gulls, masses of swallows and what turned out to be crag martins, which were flying so close to me at times, I had to move out of their way! Above the cries of kestrels whenever hooded crows or gulls flew too close to the nests, was a beautiful song being called out. 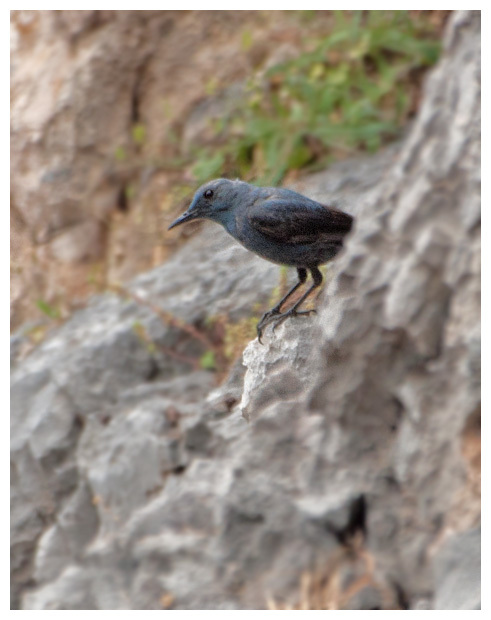 Peering over the cliff edge I spotted a blue rock thrush, sat on some rocks by the water's edge, singing its heart out. 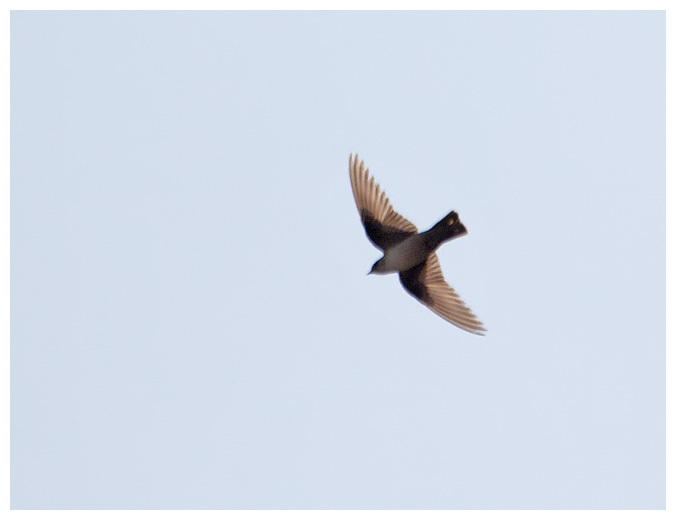 Patience yielded results, when it flew close enough for a few record shots. Also around the apartments was a jay, with a black cap on its head, loads of sparrows of course, a couple of greenfinches (I think) and enough large and unusual insects to get me to switch to macro on the lens, for some close up shots. 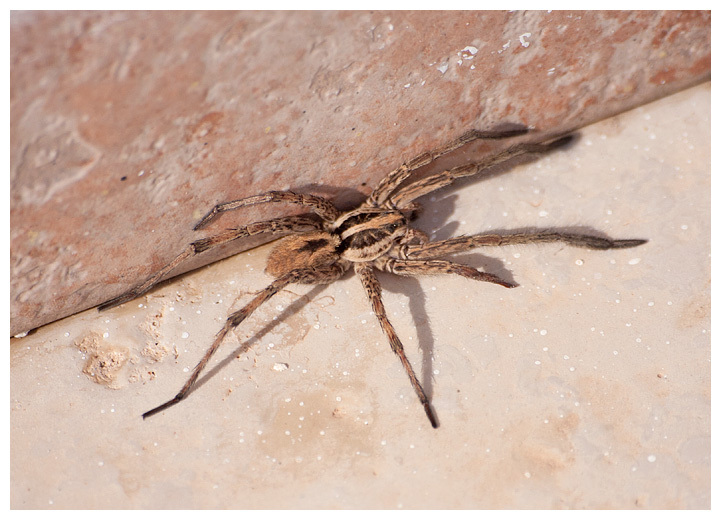 Not too close though - some of the spiders were very large! As were the beetles, which were hopeless at flying, and comically bounced off walls instead of flying over. All in all a fab trip, though next time I think I'll take a better lens with me!